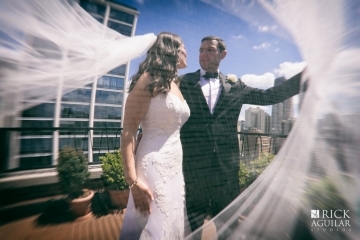 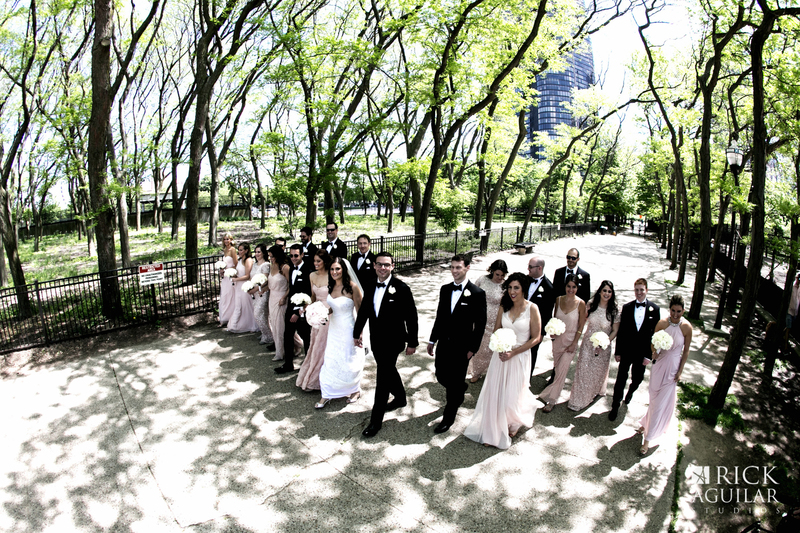 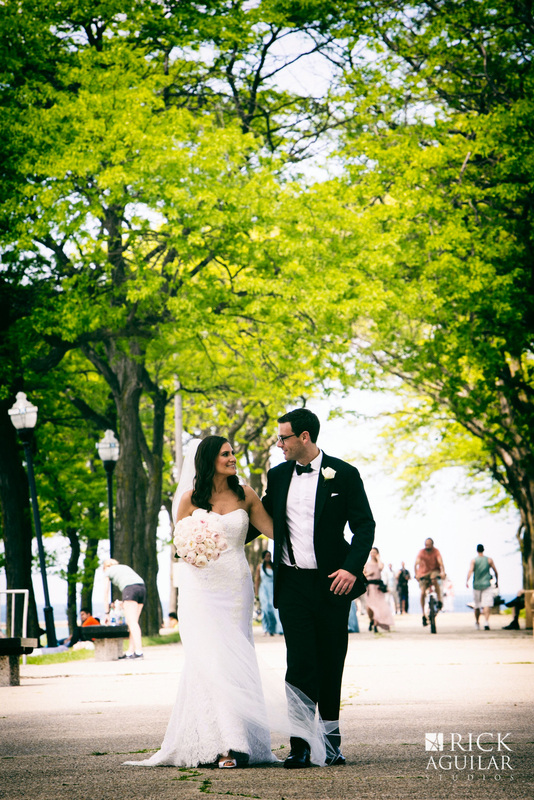 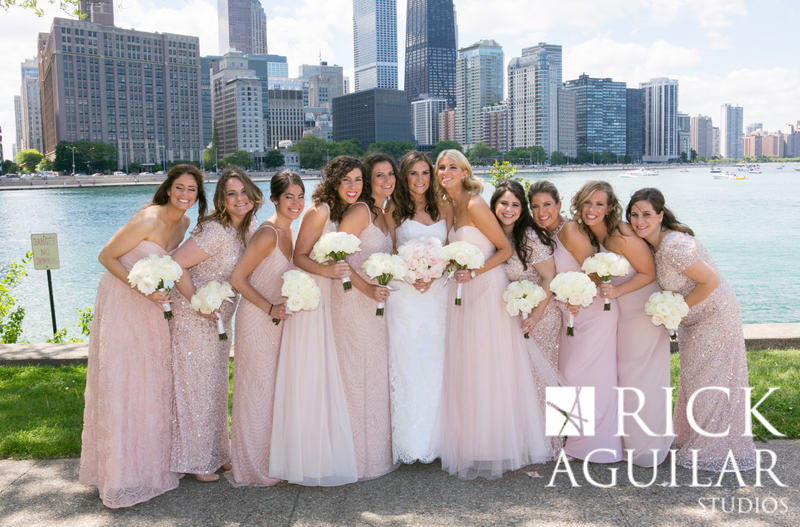 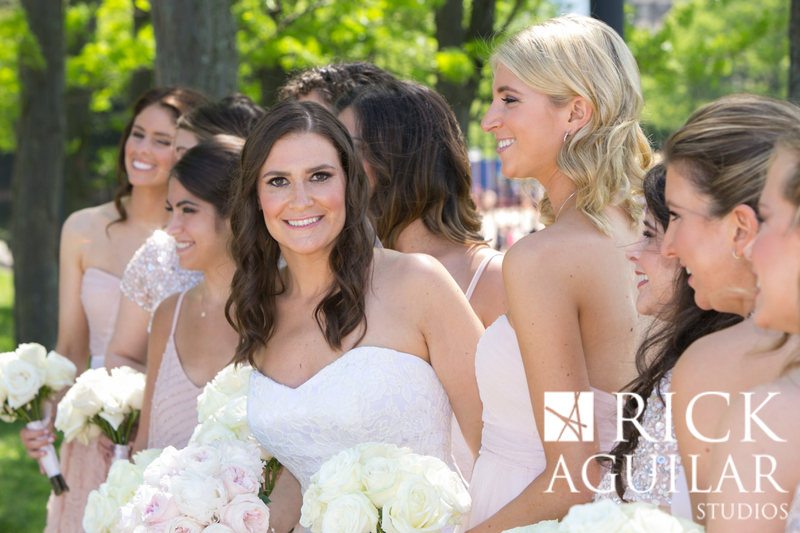 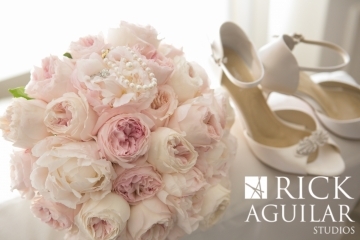 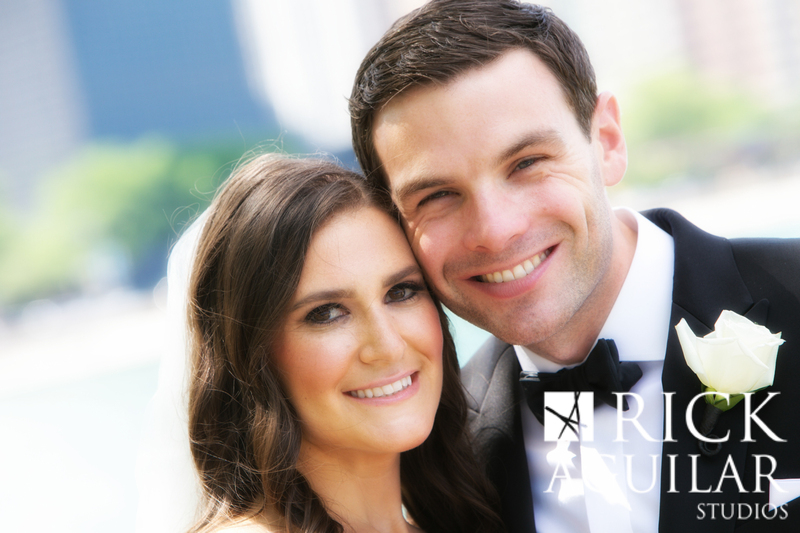 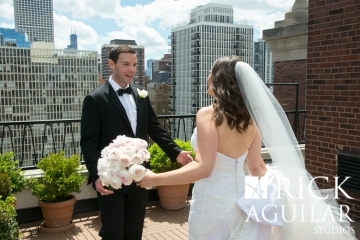 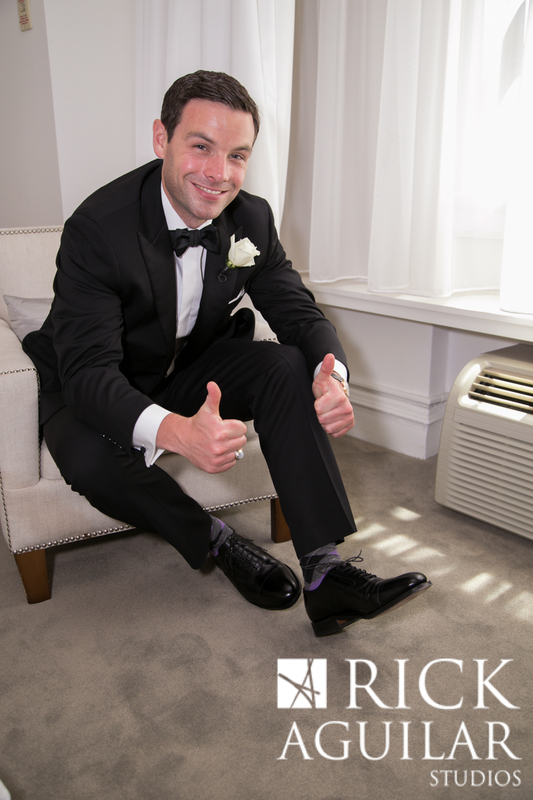 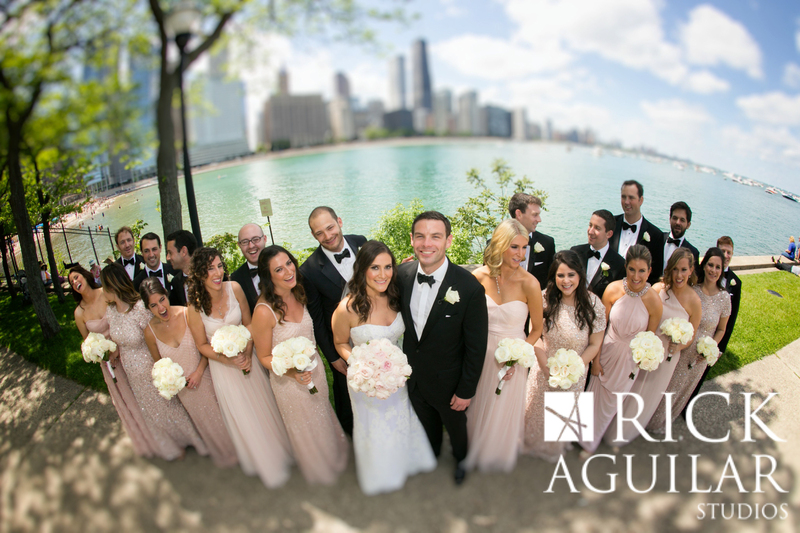 Sari and Mark’s wedding started out on a beautiful spring day in May at the historic Public Chicago Hotel, once the famed Ambassador East, in the Gold Coast. 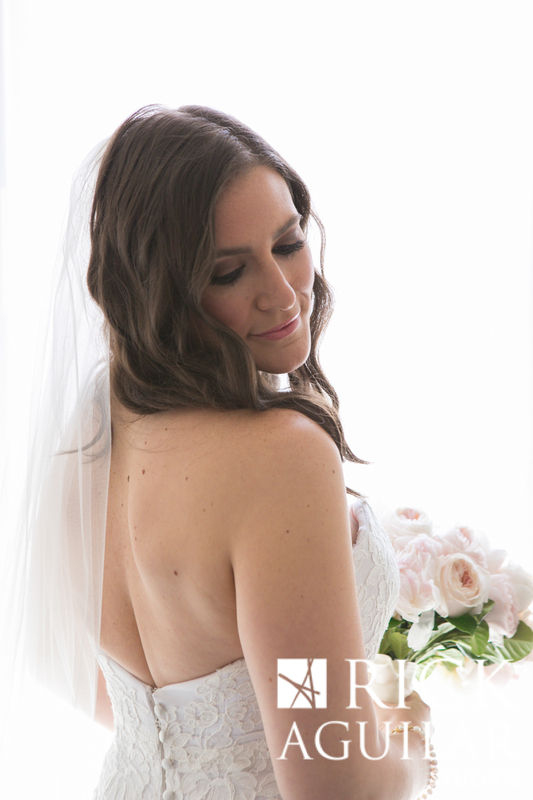 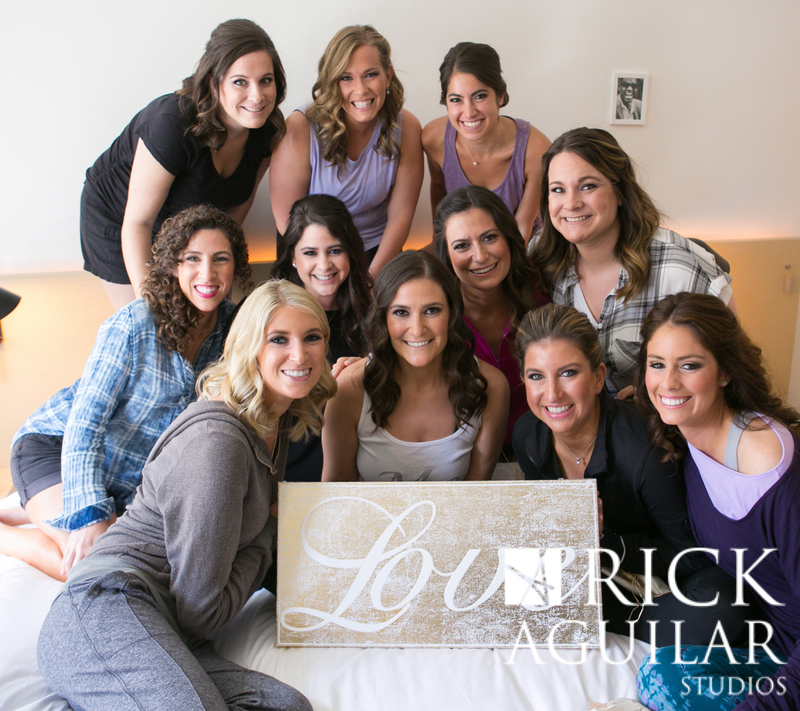 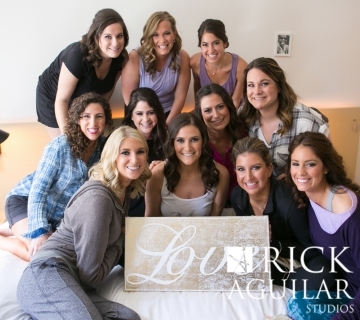 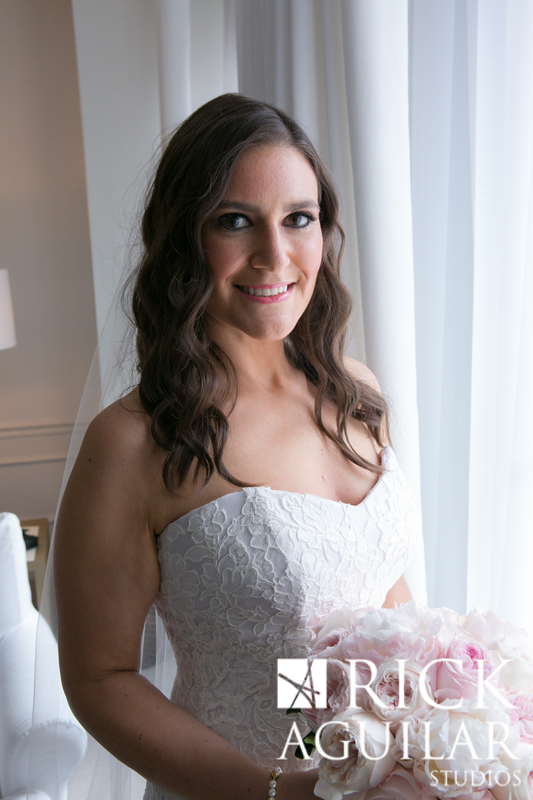 The bride wore a gown by Anna Maier and her hair and make up styling was provided by Ashley Condron at RC Beauty. 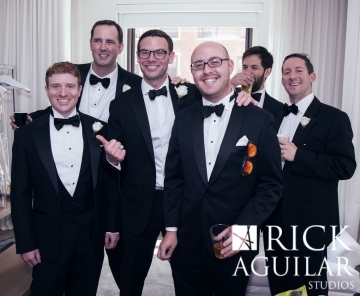 They were dressed with their friends and family at the hotel. 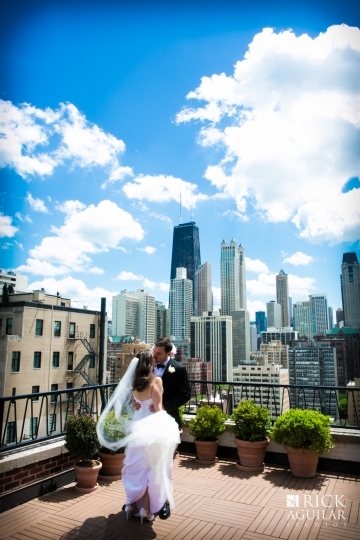 Their first look with each other was surrounded by the amazing views of the Gold Coast on the rooftop. 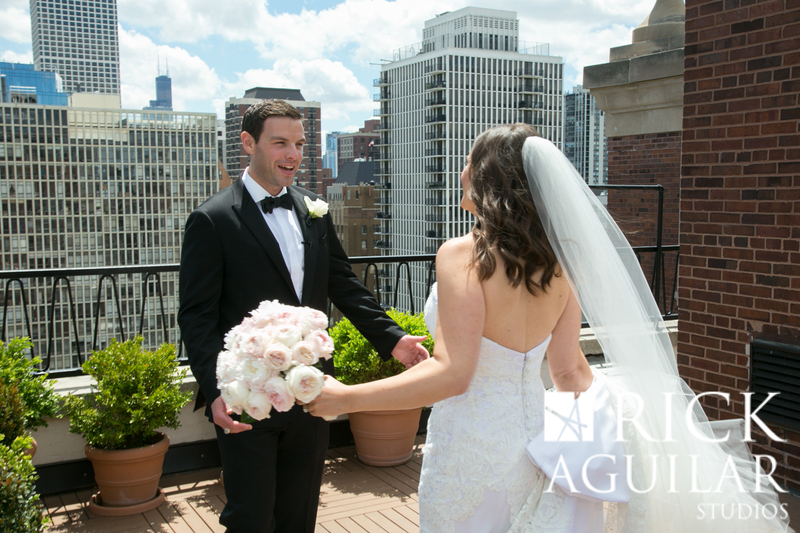 I love capturing the moment when the groom sees his bride for the first time; it is always a magical moment when they see each other before anyone else. 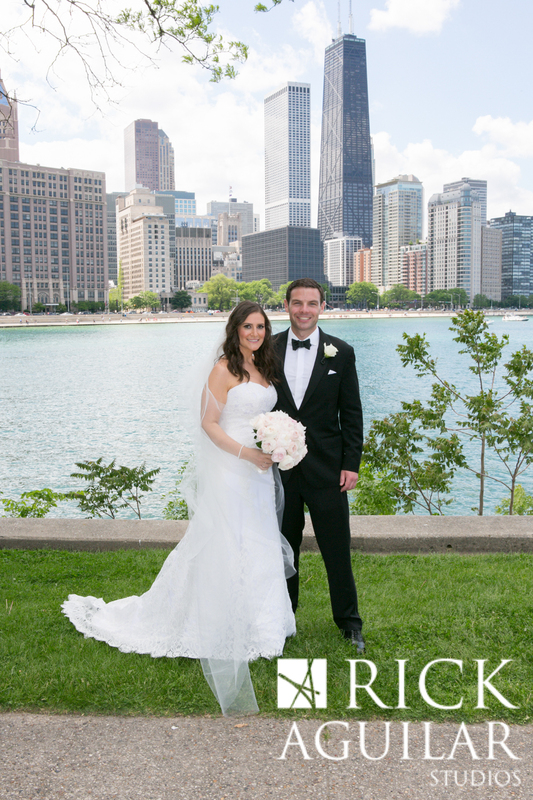 From there, we headed out to the perfect location for portraits – Olive Park. 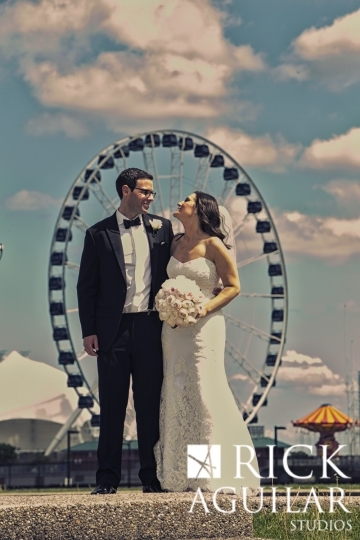 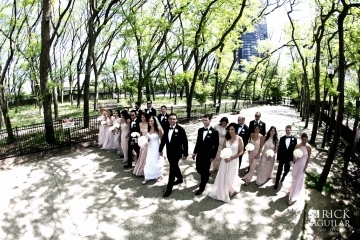 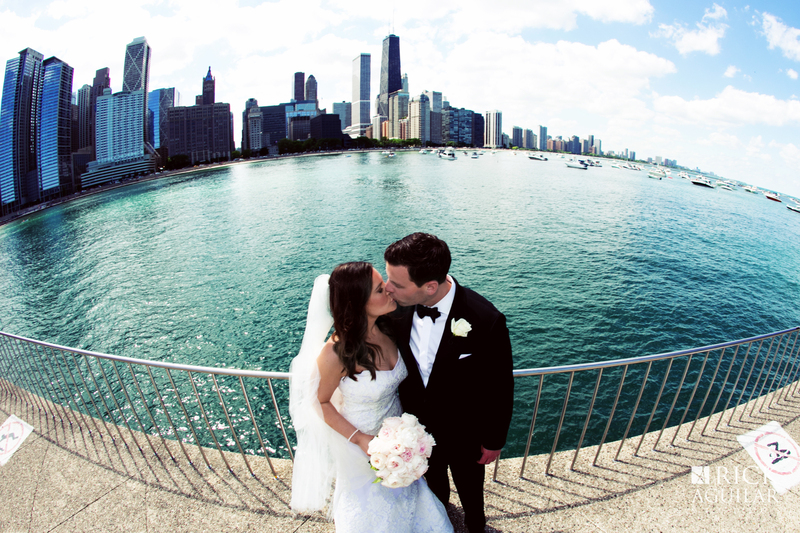 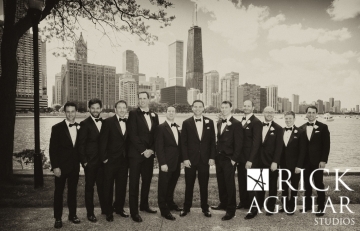 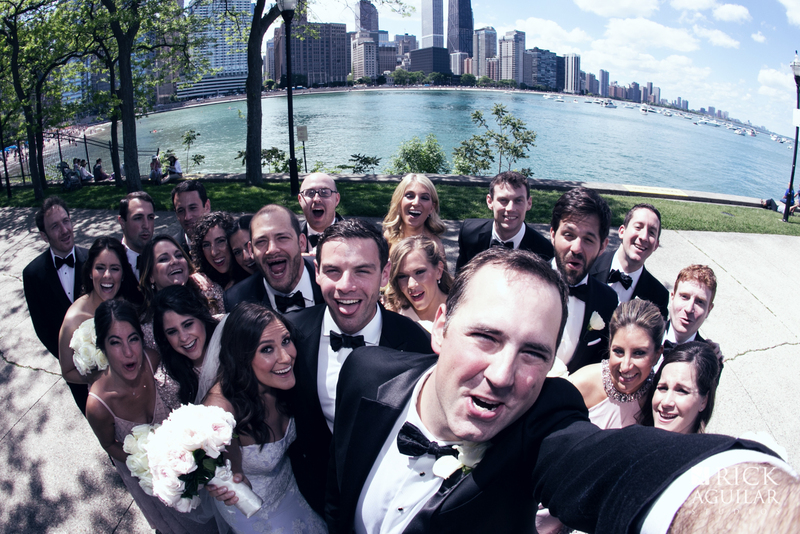 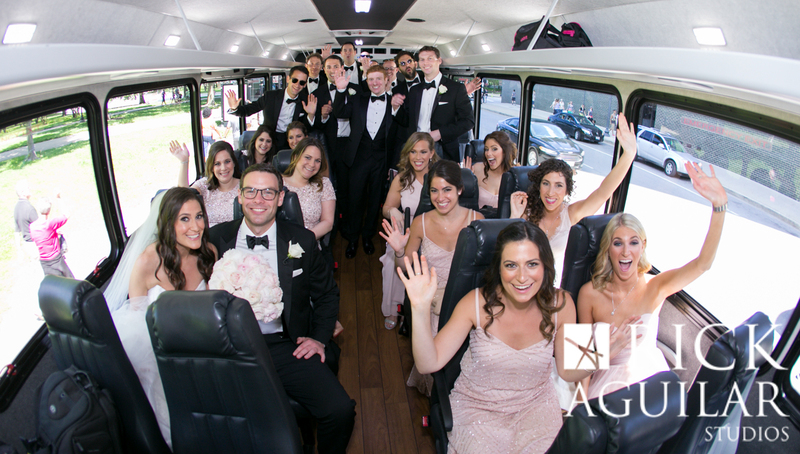 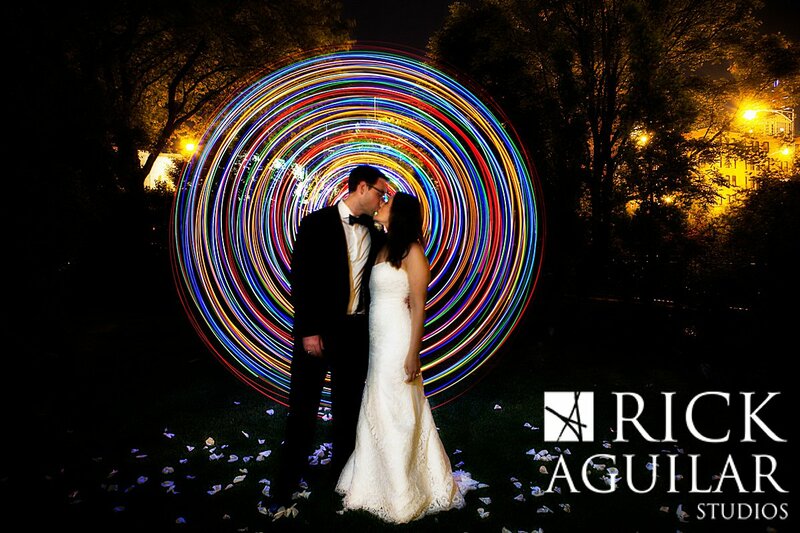 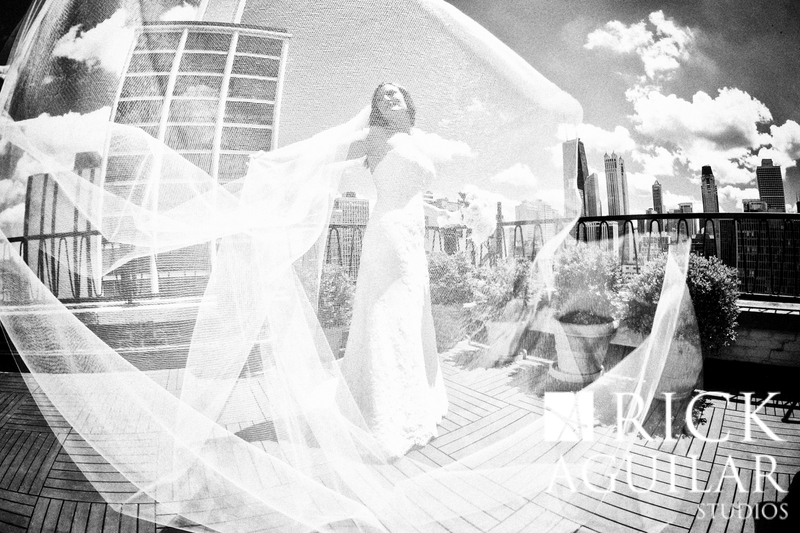 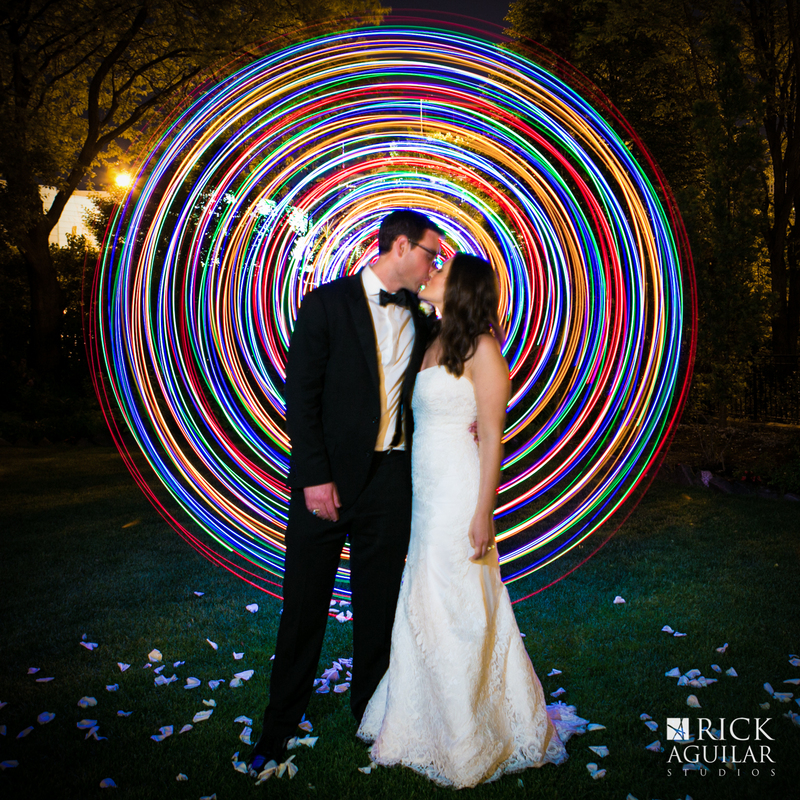 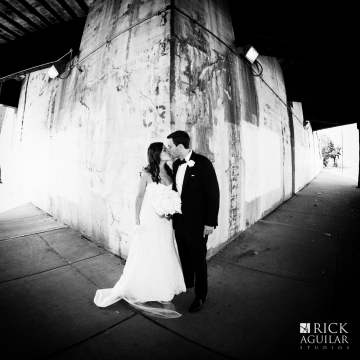 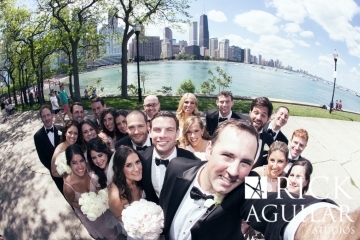 It is the ideal backdrop for spectacular wedding photos in Chicago. Jana from Great Events did a great job keeping track of the wedding party and making sure everything ran smoothly throughout the day. 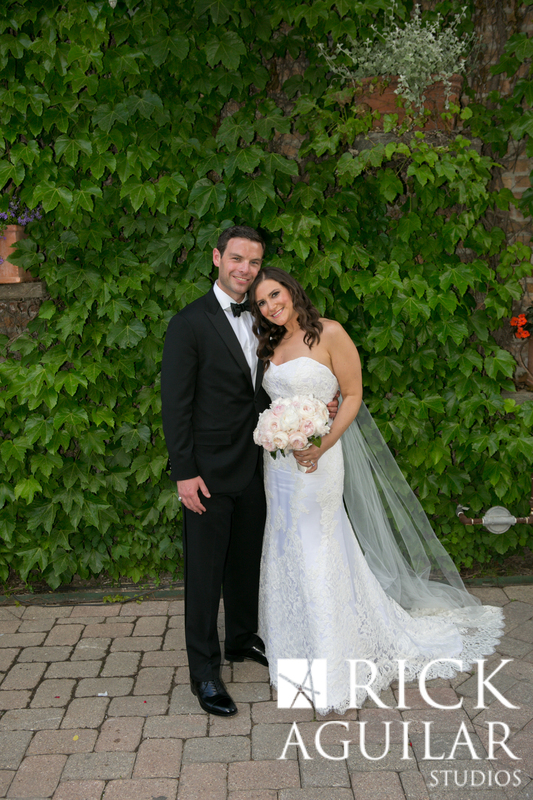 Their ceremony was held outside at Galleria Marchetti in the West Loop. 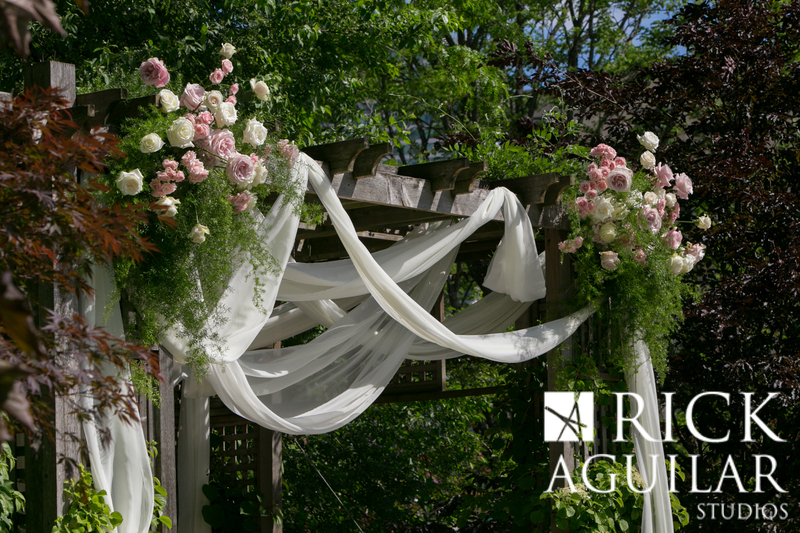 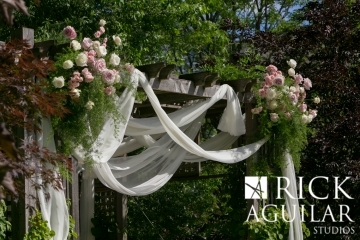 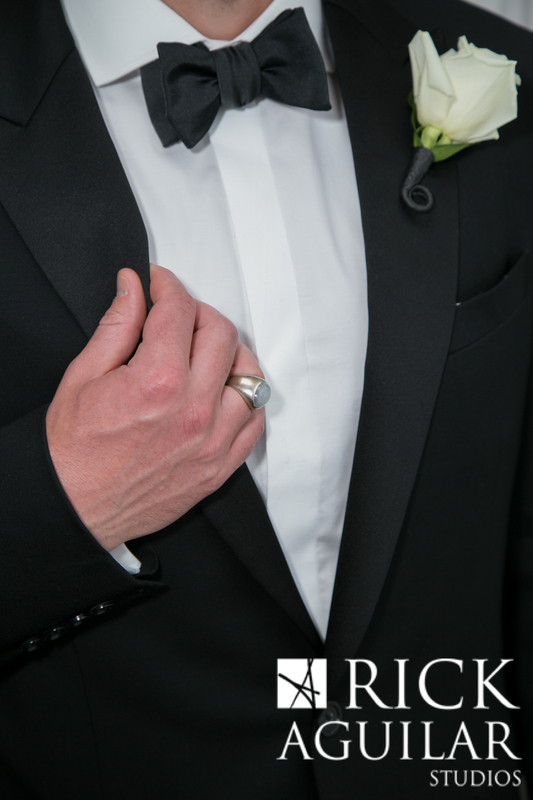 Sari and Mark were married under a huppah decorated by Richard Remiard Designs in Chicago. 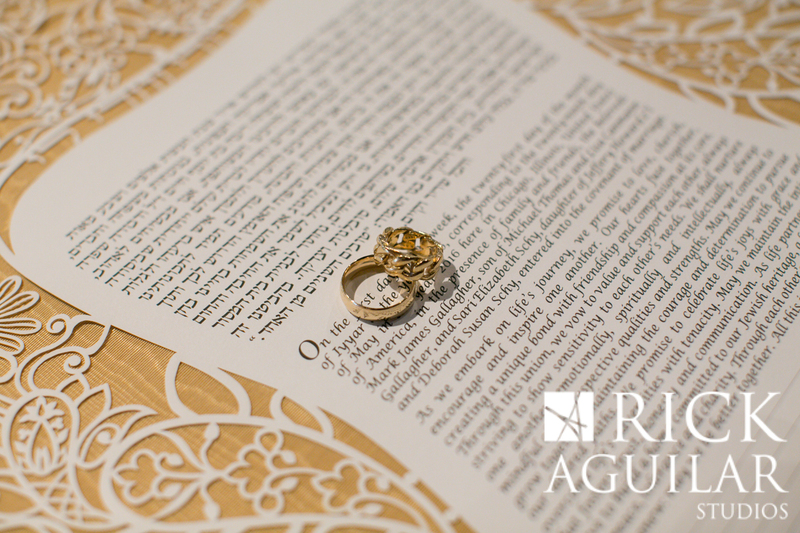 Their ketubah was by ketubahs.com with a beautiful intricate, laser-cut design. 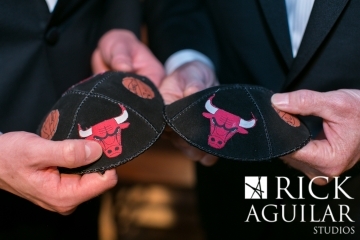 The kippots had the Chicago Bulls basketball logo embroidered on them, so fun! 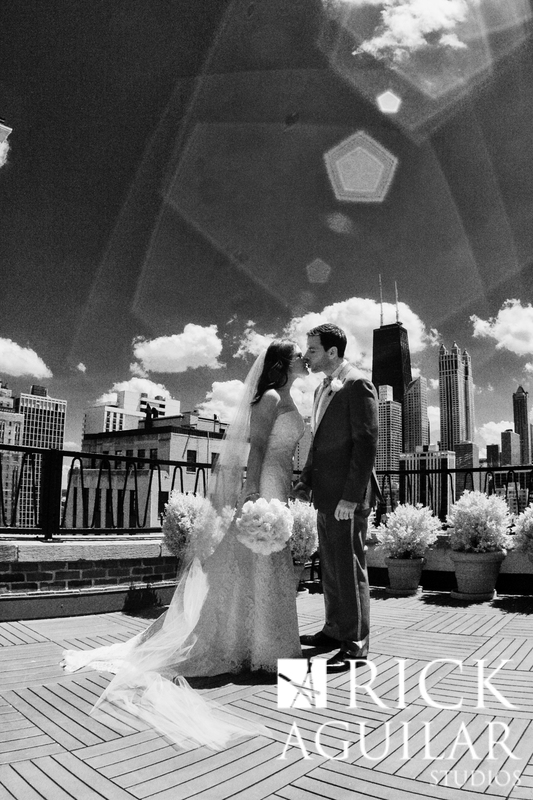 It was a beautiful ceremony the under blue skies in Chicago. The tent at Galleria Marchetti was filled with pink, white and yellow flowers with candles and chiavari chairs. 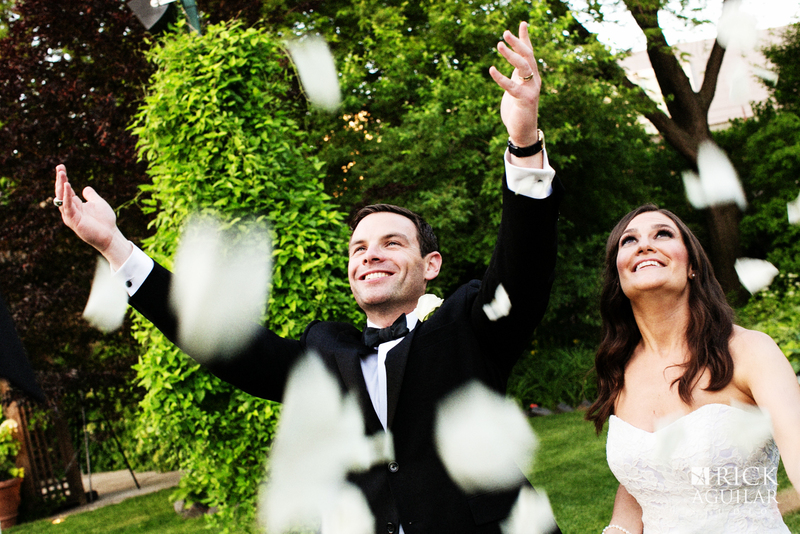 Their guests enjoyed cocktails and hor d’oeuvres in the garden before being invited in by the Gold Coast all Stars for an evening of dancing. Video on the wedding day was provided by Blink of an Eye Productions. 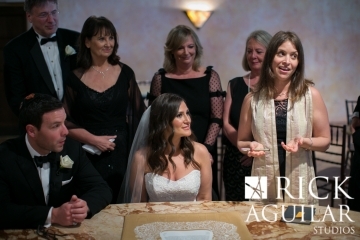 I think the favorite part of the day was the wedding ceremony. It felt very personal and comfortable. 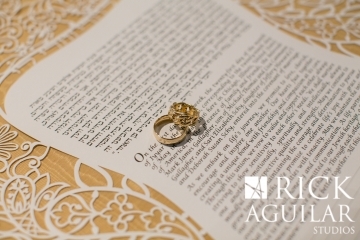 We were also able to incorporate different items for loved ones that had passed during the ceremony and we were also wearing different things from loved ones that passed so it felt like they were part of the ceremony even though they weren’t physically there. 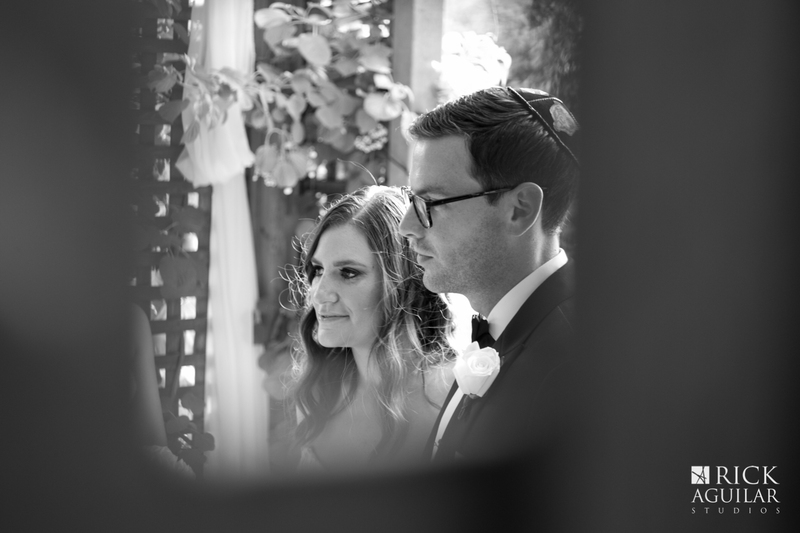 My aunt and others guests said that there was a butterfly that came and landed in front of the chuppah right as the ceremony started and it stayed the whole time. Then, right when Mark broke the glass it flew away. 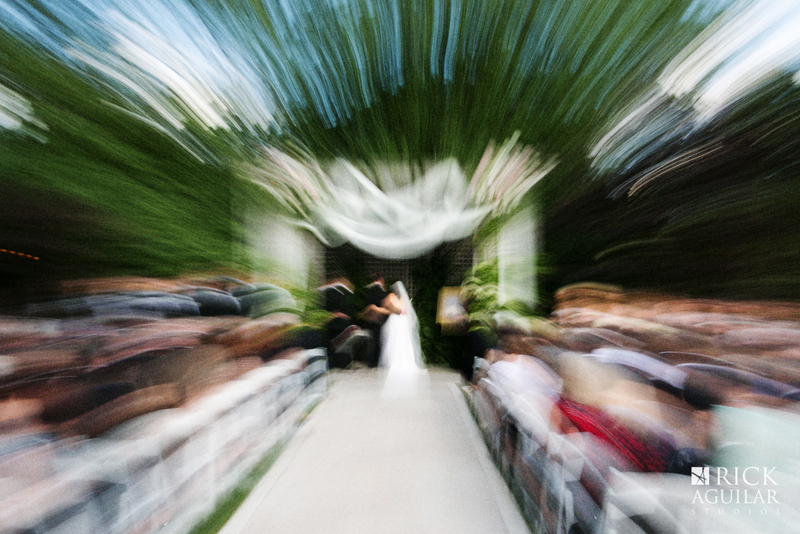 She thought it was a loved one that passed. 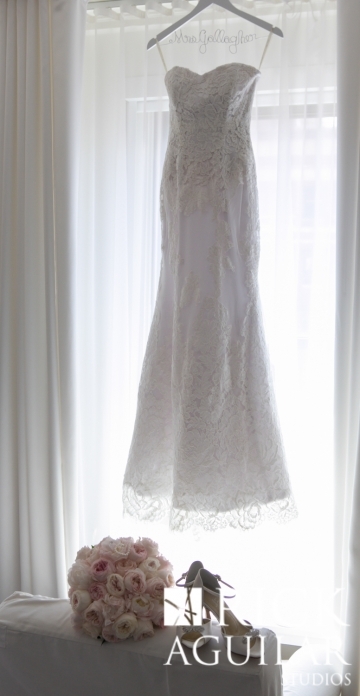 Not sure if you believe in that or not, but I thought it was touching. I thought the wedding was flawless. 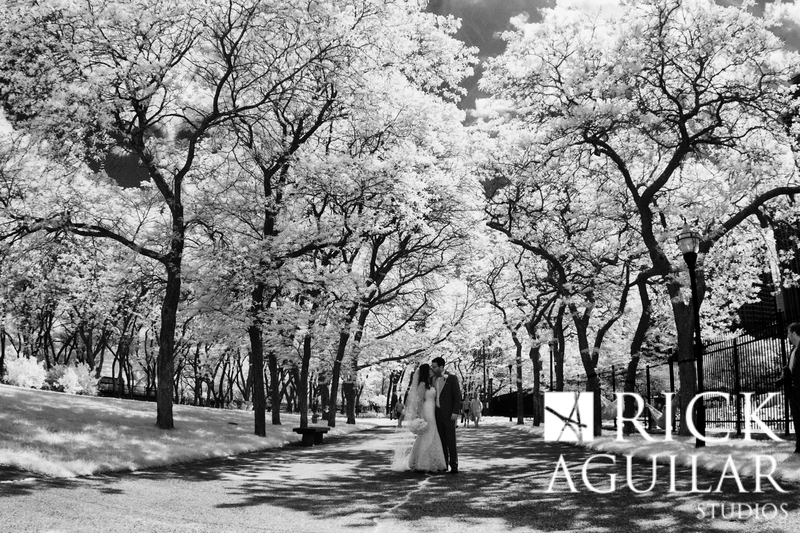 It was supposed to thunderstorm all day (that’s what the weather forecast said all week) and it was just the perfect day. 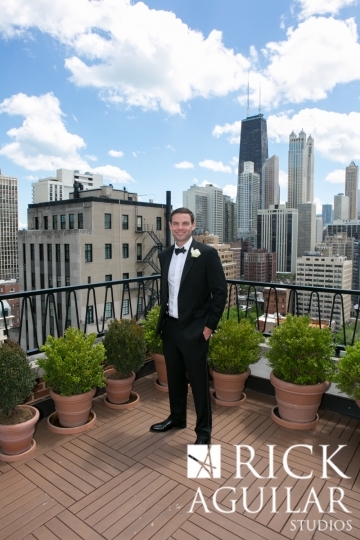 I know there are a lot of logistics with weddings and it just seemed like everything went right as scheduled. There isn’t anything I would do differently (except maybe not wear strappy heals ;)).